Legend Porsche is a New York City Metropolitan area Porsche dealership located in Massapequa, New York proudly serving Long Island to Manhattan, NY. Our priority is to provide extraordinary customer service for everyone that visits our Porsche showroom. We want to keep you satisfied with all your automotive needs for the life of your vehicle from financing, service to our parts department. 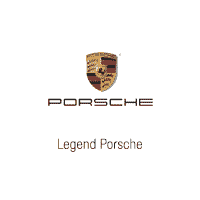 Legend Porsche has a large selection of New, Pre-Owned, Certified Pre-Owned Cars & SUVs. Some of the bestselling new Porsche models include the Porsche 911, Cayenne, Cayman, Boxster, and Panamera. Need auto financing for your new or used luxury vehicle? Legend Porsche can get you some of the best interest rates to make your monthly payments fit your budget. Browse our online inventory then give us call at 877-381-0117 to schedule a test drive of your favorite new or certified pre-owned luxury car or SUV at the best Porsche dealer in the New York City area, Legend Porsche. Legend Porsche is located at 5775 Merrick Road Massapequa, NY 11758. We look forward to meeting you and providing extraordinary service while helping you find your next new or used Porsche. Great guys to work with, easy seamless transaction. High recommend tony habib and the legend team if you are in the market for a porsche. Love my new 718 boxster!